The Court of Appeal, sitting in Benin, Wednesday dashed the hope of the Young Democratic Party (YDP) and its Governorship candidate, Nurudeen Inwanfero, by upholding the judgement of the Edo State Election Petition Tribunal given on December 8, 2016. 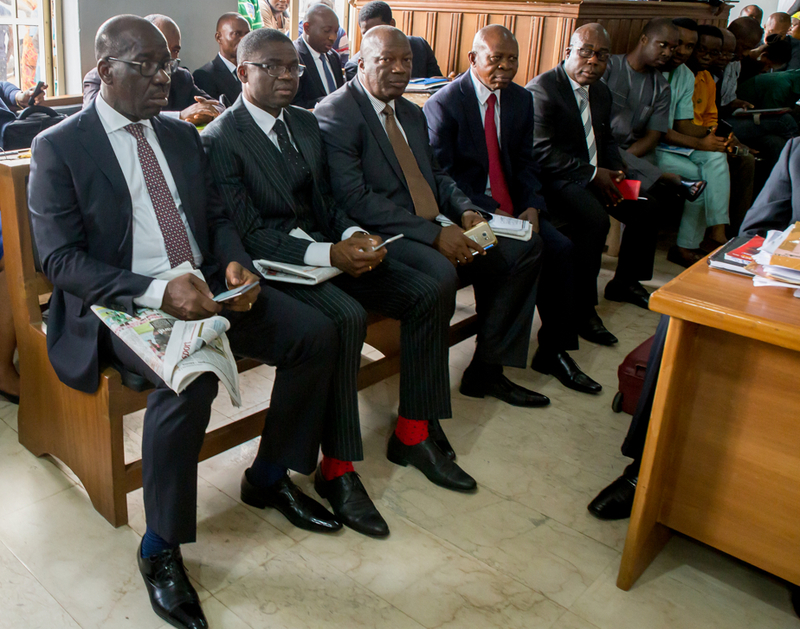 Following the dismissal of their petition against the declaration of Mr. Godwin Obaseki, as winner of the September 28 gubernatorial election in the State, the Petitioners had approached the appellate court, seeking to upturn the judgement. Barrister Santos Femi Owootori, Counsel to the 3rd Respondent, (Mr. Godwin Obaseki), however filed a counter motion against the appeal. In the counter Motion on Notice, Owootori sought an order dismissing the appeal brought by the Appellants/Respondents through their notice of appeal dated 16/12/2016 and filed on 20/12/2016. He hinged his application on the grounds that the appellants/respondents filed their notice and grounds of appeal at the lower tribunal on 20/12/2016 without complying at the time of the filing, with paragraph 7(a) of the Election Tribunal and Court Practice Direction 2011 in respect of fulfillment of conditions of appeal. He further argued that since the appellants/respondents filed their notice and grounds of appeal on 20/12/2016 at the lower tribunal, no records of proceedings/appeal has been compiled and served/transmitted as at 03/01/2017, which is 14 days after the filing of the notice of appeal in violation of paragraph 9 of the election tribunal and court practice direction 2011. “That I know as a fact that the appellants have 10 days from the date of filing of their Notice of Appeal within which to ensure that the records of proceedings/Appeal are compiled and transmitted/served on all parties to his appeal. After hearing argument from counsel to the 3rd respondent (Mr. Godwin Obaseki) the Presiding Judge, Hon. Justice J. O. Bada, dismissed the appeal of the YDP and its governorship candidate. Other members of the three-man panel of judges who concurred with the lead judgement are Justices P. M. Ekpe and M. N. Oniyangi.